A goblins alchemist has developed primitive grenades and uses them attack caravans and gain followers. It falls to the heroes to confront this menace and break up his small but growing band before it grows into a force to powerful to reckon with. 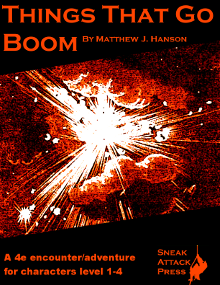 Things that go Boom is a single EL 4 encounter adventure for characters level 1-4. 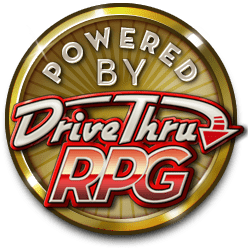 As a DM you can drop it into nearly any campaign or run it as a one-shot.